Product information "Marshall NDI Full HD PTZ Camera CV620-NDI"
Over NDI it is possible, to integrate the CV620-NDI in IP-based workflows. The CV620-NDI is suitable for PAL and NTSC. 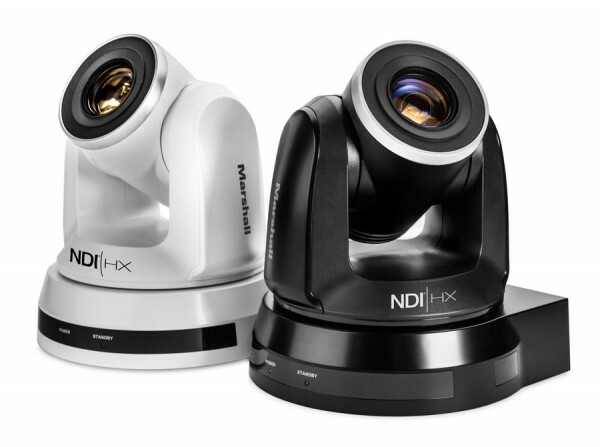 Related links to "Marshall NDI Full HD PTZ Camera CV620-NDI"
Our comment on "Marshall NDI Full HD PTZ Camera CV620-NDI"
Customer evaluation for "Marshall NDI Full HD PTZ Camera CV620-NDI"